Does Google Panda #22 Update is under Progress? 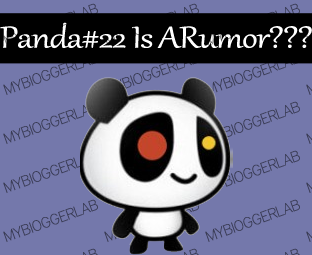 Not Even 10 days have passed since the Last Panda 21 Update, but still there are lots of rumors going around in the blogosphere about the Panda 22th Update. Last Friday on 16th of November, Lots of chatters started a discussion about another Panda Update. At that time, we ignored it because the algorithm was just refreshed few days back. However, today while we were checking our Traffic statistics, it was pretty fascinating because we saw a significant increase in our organic traffic on the same Date (16, November) when the discussion about the New Algorithm update took place. Today in this article, we will take a look at few evidences and will also discuss more on this unconfirmed Algorithm update. To be honest, we are still scrambled whether it is a Panda, Penguin, EMD, Page Layout or any other new algorithm refresh because the evidence are on the lesser side. Even the Mozcast doesn’t show a significant lift, but SERP Metrics does indicate a slight lift in the Google Organic Traffic. Take a look at the Following Screenshot to clear your concepts. The increase in our Traffic was not excessive, but it was moderate. First, we were speechless to see an increase in Traffic on Friday because on weekends people spend much lesser time on the internet. Fortunately, we saw a 20% increase in our Traffic. Look at the following screenshot that is taken though Google Analytics. It’s clear that Google has rolled an algorithm refresh, but we are pretty sure that it is not a foremost update. If it is a Panda refresh, then in less than two weeks we have witnessed two algorithm refreshments. We have tried to contact Google and will update you when we get any updates from them. Google has not officially confirmed that Panda #22 is updated, nor it is any other kind of algorithm update. Google didn’t accept that it is an update by giving their usual comment. Consider the following quotation we got from Google. However, it is clear that Google will soon roll out a new Panda Algorithm update. Google said that Panda update will be happen within 7 to 10 days only if things went according to the plan. Well, those days are not here when a webmaster could sleep fearlessly. Nowadays, we are in the era of search engine dictatorship which is led by one and only Google. Keeping our figures cross because that’s all we can do. Concentrate on curating highly professional content because it is the only way by which a person can survive from any kind of algorithm refreshment. What are your thoughts about this Algorithm refreshment? Any guesses whether it is Panda, Penguin, EMD, Page Layout or any other update? Don’t forget to leave your views though Comments. Take a lot care till then, Peace, Blessings and Happy updating. I have also seen a bit no of increased visits to my blog from these 4-5 days, may be this is because of Panda. I dont think so it is panda because it has been only 10 day since they have update it.I think it should be other than panda, may be penguin, maybe google will introduce a new animal in the seo zoo. If panda already update,,big thanks for me,,because i already increase my visitors.. Thanks for this article bro..